As someone who works in the gaming industry as a full time job, launching a MMORPG is a rather time-consuming activity for both the publisher and developers, but mostly for the players. Considering such games requires hundreds of hours of gaming to get to the epitome of experience, I can’t keep up with all the changes and will just simply dream of catching up with my already high-level friends. But I have a soft spot for MMORPGs and in general online experiences that love to add more than just cosmetic changes, and this is how I felt with Final Fantasy XIV: A Realm Reborn, and I couldn’t miss this second expansion pack called Stormblood, especially after the great 2015 Heavensward. And so even after fighting the temptation for couple of days, I decided to shamefully jump on the paid Job Level-Boost and Scenario Skip to start with a new character, and so I can experience one of the new jobs from the previous expansion (the Dark Knight). So what’s new in this expansion? Well seems like the core of Stormblood has been used to redesign all classes to overcome the main game problem, and narrow the gap between new and old players, making each one of them trully unique to play. Ditching the somewhat complex system of shared skills, each class will now have a well-defined RPG role: Healer, Tank, DPS, Long Distance, Support… etc. While many skills and actions have changed, others were simply suppressed for the sake of clarity, and a job gauge has also been added, specific to each one, rather relevant and well thought out, to be able to realize combos efficiently. The result is a more fluid gameplay, certainly, but also more simplistic, a bit too easy for some veteran players, making certain combos almost child play (especially those used to DPS). As most of my fellow raiders pointed out, this new system kind of establish a sort of routine. Some classes lost a bit of interest in the game which will probably be improved in the next patches, while others gained drastic changes in maneuverability. It is also regrettable that the dynamics of the global cooldown has remained unchanged, still making the game a little slower than its competitors in terms of pace, but it is also understandable for a game of this scale in terms of technicalities. After all, Final Fantasy XIV is a cross-platform game (PC and PlayStation 4), and I always felt like the gameplay was slowed down to facilitate the task for us consoles players who obviously don’t have the upper hand in comparison to those using keyboard and mouse combos, with a much clearer engine and animation. In any case, after a few hours of game we quickly get used to these new game mechanics, realizing that Final Fantasy XIV: Stormblood is more fun, easier to manage, more complex in some ways, and as you imagine brings bigger challenges and new raids. The biggest strength of Final Fantasy XIV: Stormblood lies mainly in its story, and Naoki Yoshida’s desire to affirm his desire to create a full-fledged Final Fantasy, attracting all the fans of the series and making it his perennial episode. By consolidating the Final Fantasy universe, spreading several easter eggs and references, the game never ceases to amaze me by its choices, stories that are often audacious. In Stormblood, your character is at the heart of the revolution in the Gyr Abania and Doma territories, lands now desolated. You and your companions will have to travel through these different regions in order to motivate the troops and to unite the different factions of insurgents to fight a common enemy and take over the city-state of Ala Mhigo. That resistance is organized around new charismatic and endearing characters, reminding us how good the team at Square Enix can be in terms of writing. Your involvement as player is perfectly positioned in this story, and some epic quests will make you witness particularly fun moments, despite its rather laborious start as an adventure. Different in terms of theme when comparing to Heavensward (which was very “Middle Age” oriented), Stormblood focuses on a mystical style full of contemplation and wandering among its various landscapes inspired by Asian countries. The region seem to be depopulated, with scattered camps but the scenery works, and one feels cut off from the mainland, discovering new customs and beliefs of the locals. While this is quite enchanting can leaves sometimes an impression of emptiness, not really tempting into replaying some areas, on top of an excessive number of fetch-and-deliver quests, despite an effort to make them sometimes more entertaining with the use of mini-games. The new city of Kugane, strongly inspired by the architecture of shogun-era Tokyo (or known as Edo at that time), full of detailed alleys, with life at every corner, and of course a supporting artistic and soundscape direction. Final Fantasy XIV: Stormblood also marks the arrival of a new important game mechanics: swimming. For the moment, that new game mechanic is as easy to control and manage as flying, but it mainly breaks these “invisible” barrier, adding a true feeling of freedom in these new lands, especially after your first dip in the ​​Ruby Sea. Who knows, maybe the team will add Blitzball? The game of course adds new jobs, mainly two DPS classes which are the Samurai. The latter is a melee class, perfect for new players, and a little easy for regulars, with Its core mechanics resting on a 3-combos to cooldown then powerful attack, plus a management of its gauge of “rage” which grows according to the success of the previously mentioned hits. The second job is the Red Mage, which is more interesting, as it combines melee and distance attacks, and requires you to balance two magical sides (black and white) in an innovative asymmetric gameplay. Finally, new dungeons and two new raids have been added thanks to Final Fantasy XIV: Stormblood. Inspired by Japanese mythology or legends and artistically remarkable, you’ll need to go through quite a chunk of the storyline to test the first dungeons, which are rather linear. Again this choice of level design has certainly been thought of so that the new players can get used to the game without too much of a hitch, and the whole is in the end well paced, with awesome boss strategies to figure out. I’ll admit that I finally feel there was a desire to break the monotony of the previous expansion pack, and establishing new mechanics has brought a wind of fresh air. Finally the end game promises to be consistent since we remind you that it is possible to alternate between all the available classes, and that this time you will have to reach level 70 to participate in the next raids (Omega) planned to launch soon. 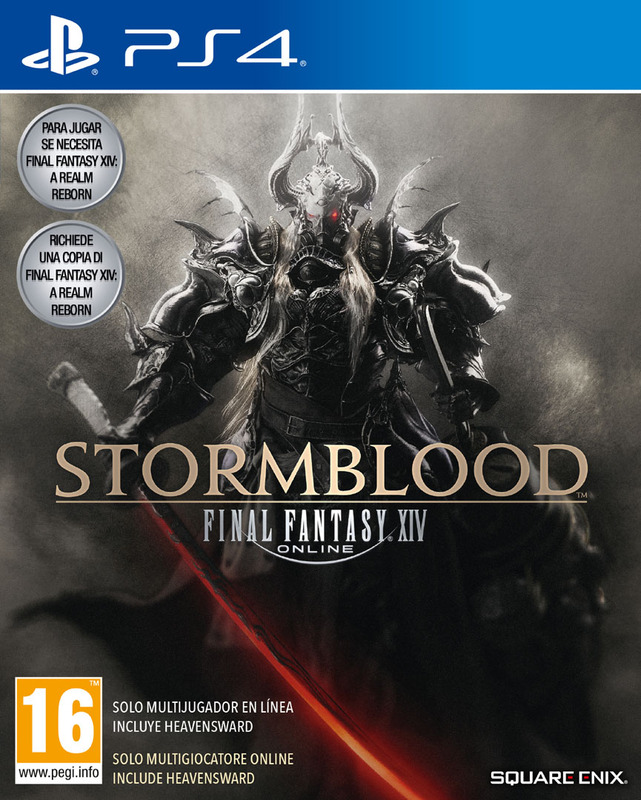 Final Fantasy XIV: Stormblood was reviewed using an PlayStation 4 copy of the game provided by Square Enix. The game is also available on PC in both retail and online stores releases. We don’t discuss review scores with publishers or developers prior to the review being published. Final Fantasy XIV has always been an episode of the series in its own right, but Stormblood solidify that statement with style. Far from resting on his laurels, Final Fantasy XIV: Stormblood clearly continued the successful Heavensward recipe, and tries new approaches to attract new players, with an exciting storyline full with great characters, involving the player at the center of this new universe. If you haven't played it yet, or been on a hiatus, this is a great expansion pack to grab.